It is always fun to test out tools for review, but it is especially fun when you know the tool you will be testing is something you need, or will make life easier. Such is the case with the Work Sharp 3000. Like me, I am sure a lot of carpenters have tools such as chisels and hand planes that get used and abused at work on a daily basis; but how often do those tools get the good sharpening they need to perform at their best. In the past I have used everything from belt sanders to mini grinders to try and get a half decent edge on a chisel, but have never even come close to a true square sharp edge. Even brand new chisels do not have a nice clean sharp edge that will last, that is unless you are spending the big bucks on chisels. Let me first start off by giving props to Work Sharp on the packaging. The contents were very well protected from the rough and rowdy handling's of the delivery people. Two tempered glass disks were snugly placed in foam bags, and separated by cardboard dividers and the Work Sharp itself had a nice thick-walled cardboard home. The kit includes two tempered 2-sided glass disks which are used as the backer for the (2)120, (4)400, (4)1000 and (1)3600 grit self adhesive sanding abrasives. One slotted disk(1-sided) is included with (2)80, (2)400, and (1)1200 grit slotted abrasives. 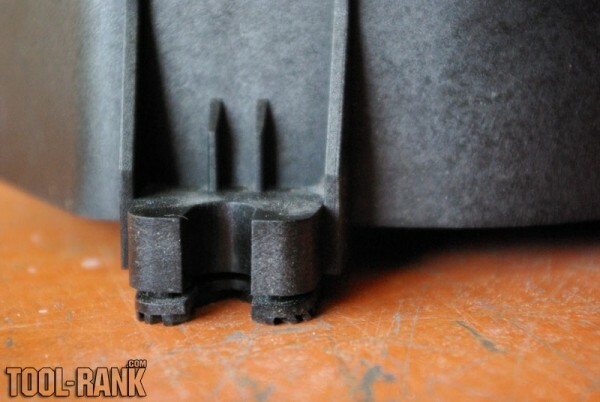 Also included are two 400 grit lapping papers used on the heat sink and a crepe stick used for cleaning the abrasives. Last but not least are the tool rest, top knob which holds the disks in place and a good instructional DVD. So now that you know what is included, you probably want to know what the Work Sharp is capable of. The WS3000 can handle tools ranging in width from 1/8" to 2" wide, and has 4 preset angles of 20, 25, 30 and 35 degrees. You can also use a range of custom angles using the included tool rest, and a bit of skill or do your sharpening free hand. Big or small, the Work Sharp can handle them all (I had to throw in that pitch in honor of Billy Mays). I was able to sharpen a small plane iron I use that is probably only 2" long. It was a bit tricky at that size, but possible. I had no luck sharpening that same iron by any other sharpening method because of its size. 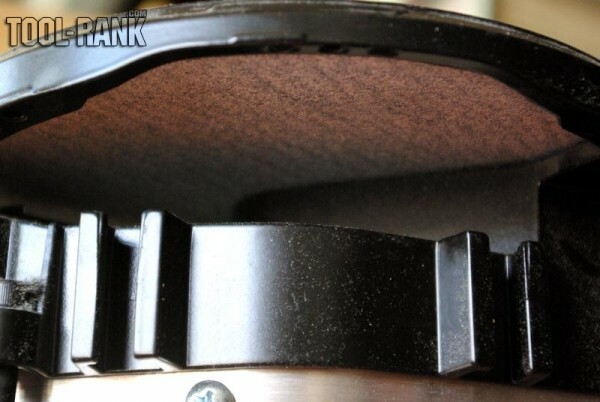 Some other nice features that should be mentioned are the rubber feet, which will help keep vibrations down, and a lockout switch to prevent unwanted usage of the Work Sharp. Work Sharp has a number of accessories that can be used to upgrade the WS3000, including a wider rage of abrasive grits, leather strop, polishing wheel, etc. One thing I really like, is that Work Sharp has no problem letting us know in both the DVD and the manual, that you can use 3rd party PSA Abrasive disks with the Work Sharp Systems. You will however, have to trim the disks to size, and cut a center hole. For example, you could buy Micro Mesh disks up to 12,000 grit if you wanted the ultimate sharp edge. The instructional DVD has all the information needed to get started and since we all like to skip the instruction manual anyways, you might as well just start with the DVD. I am not going to go into great detail on step by step process on sharpening your tools, because that is what the DVD is for. However, the basic process is to flatten the back of your chisels or plane irons first, then work your way up through the grits in both sharpening and flattening, starting with the coarsest grit necessary to get a flat surface. Changing from grit to grit on the glass disks is as simple as flipping them over, so there is no need to worry about sharpening a single tool from start to finish and then moving to the next. However, using the slotting Edge-Vision disk is a different story. Because the kit includes only one Edge-Vision disk, you should sharpen all your tools on the same grit before moving to the next grit. You will also need a place to put your slotted abrasives after each use; I have found the best place to be the backside of one of the unused un-slotted abrasives. 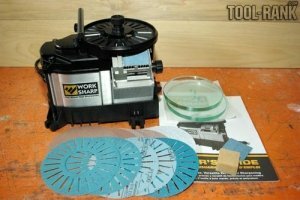 I had my doubts about using the Edge-Vision wheel for sharpening odd shaped tools, but as soon as I put it to use, it proved me wrong. Being able to see the edge really makes it an easy task. 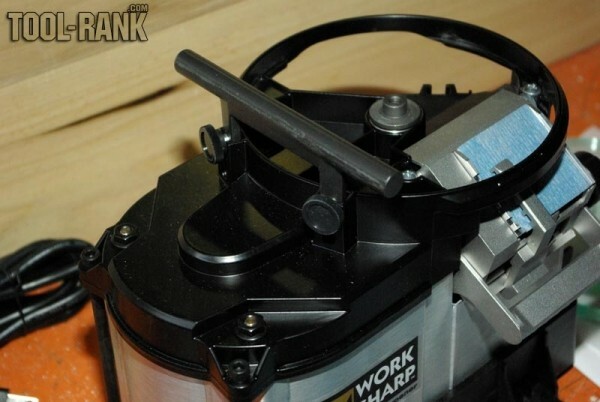 I thought that using a tool rest for sharpening with the Edge-Vision would make things easier, but the included tool rest does not fit in the lower accessory slot. As of now, it doesn't look like Work Sharp even sells anything to be used in the lower accessory slot. One trick I have learned is to clean each surface of the abrasive directly after using it. This will help the abrasives to last longer and will also allow them to cut faster. Always be sure to check the sharpening angle. I have made the mistake of sharpening at the wrong angle, and waisted a bunch of time. 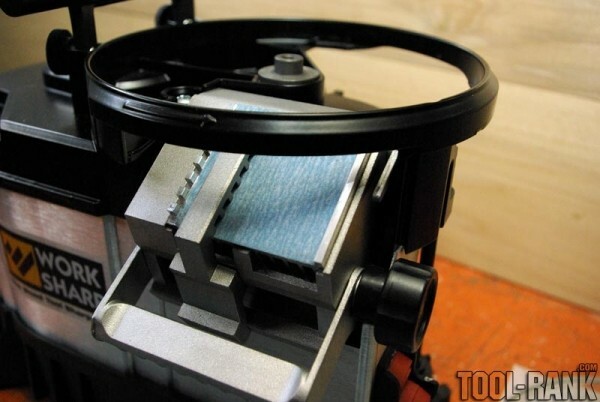 Use a marker, and a light above to see the sharpening edge while sharpening using the Edge-Vision disks. Overall the Work Sharp is a great tool. It sharpens chisels and plane irons with ease and only takes a bit of skill to sharpen carving chisels and other odd shaped tools. I was able to take old rusted beat up chisels and make them shave-able sharp in only a few minutes. At times I wished the tool rest for sharpening chisels was a little longer, but if it were too long it would interfere with the tools handle. So in the end it is probably the right length. The cost for the WS3000 seems pretty good to me at around $200. I spent about the same amount of money for water stones and a jig, that are much harder to use or you could spend hundreds more on the competition. 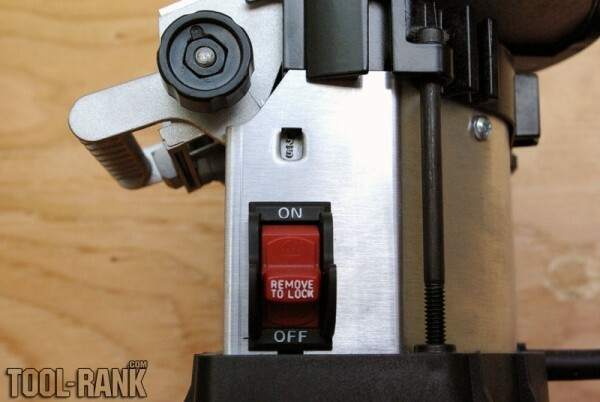 I do hope a knife jig is in the works for the WS3000, as it is available for the WS2000... I have a ton of dull knives.